I called and let the HVAC Company and they said they were out of ideas other than dropping the unit into a closet, which would remove the close out of my second bedroom. They called Goodman/Amana and the reps suggestion was to tape ductboard around the entire unit to better insulate it. This to me does not seem like a long-term solution, and apparently, it is NOT covered under my "all inclusive warranty". The Goodman/Amana rep said that the reason the unit was sweating was because it was hitting dew point...........DUH and that it was not meant to operate in those conditions (even though I have 5-10 neighbors with identical attics/duct systems that have air handlers in their attics with almost no issues. So my question is this concerning this whole issue. The original company was an "authorized" Goodman/Amana dealer, if this installation would cause the unit to fail catastrophically like this wiping out my ceiling in a bedroom due to the amounts of water why would they install it. That seems to me like a huge liability not worth getting an installation job. The second part of that question is if the unit was installed properly why it is not working. It seems to me that Goodman/Amana should no longer allow the original company to install their units if they are going to do it improperly, and remove their permission to be an authorized dealer. On the other hand, Goodman/Amana should fix the faulty equipment. - A Goodman/Amana rep will be calling me at some point, any suggestions on getting someone to take responsibility for this mess and get it fixed? Sorry this turned into a rant rather quickly, but all total I could have had an entire new HVAC system top to bottom, installed, for less than I have paid to fix this system that was well under a year old when I began having issues. For those that asked about the radiant foil here is a small picture of what it looks like, those familiar with radiant barriers will appreciate it, it has lowered my attic temperature by around 20 degrees in the summer. Air carries moisture. I don't believe you will ever completely stop condensation from occurring on HVAC equipment placed in an unconditioned attic, particularly if you are getting nice long run times. Redefining the thermal boundary means insulating and air sealing your roof deck so humidity in the attic will be low like inside your rooms. 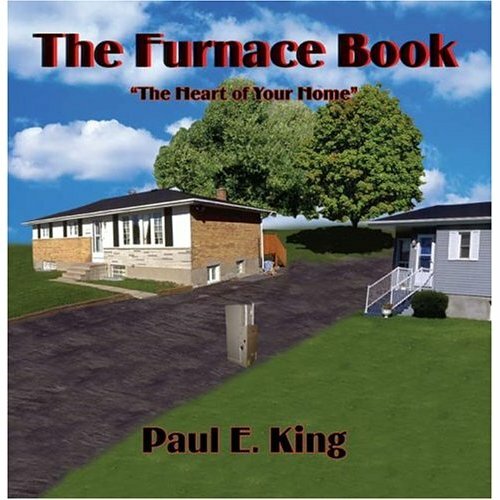 Otherwise, I think you need to build a drain pan larger than your unit and any hard ductwork. You will not stop water from forming up there unless you stop the moisture from getting in there. That doesn't mean blocking heat, it means blocking air leakage. In fact blocking heat might be making the situation worse because the surfaces start out cooler! Less cooling needed to reach dew point! If your equipment has long run times that is great for your efficiency, and great for comfort in your conditioned spaces, but r6 ain't enough to keep exterior surfaces from reaching dew point forever. So surfaces that are likely to be cooled below dew point need to drain properly. 1. Custom drain pan - 6" deep and the full length of the unit including both plenums... a nice "add on" would be 1 brick sitting in the bottom of the pan, with a "water bug" sensor sitting on top of the brick - if the water gets deeper than the brick, the water bug screams (well) before the pan overflows and the drywall gets wet. These are available for cheap at harbor freight. 2. Small air returns added to both bedrooms for comfort and to ensure adequate return air to the unit. 3. Media filter at the air handler... even if the unit isn't "sweating", a 20x20x1" filter lacks the size and capacity to effectively filter 3 tons of air. OP now has good access to the attic to check & change the filter as necessary, so there is no need to use such a small filter. 4. Wrap & insulate & seal everything that's going to get cold. 5. Get all kinks out of the supply lines. If you "need" 8" of flow make sure it's possible to GET 8" of flow. Radient barrier is just something that aggregates this situation, not the cause. The cause is an overly vented attic. As wind travels over your roof, positive pressure occurs on the leading side soffit. Negative pressure is present on the opposite side and top. Cool moist air is literally drawn in. It is not unusual for our air to have a dew point of 78 degrees. Your air supply is 55-60 degrees. This is why when you set the t-stat below 80 degrees the ducts sweat. If you figure with a 16 to 20 degrees TD, at 80 degrees return air, your supply temperature is 64-60 degrees. If the surface of the duct gets below the dew point, you have condensation. Insulation just slows heat transfer. It does not stop it. With long run times is hot/humid weather, the duct and unit will sweat. You had the new duct checked by an independent person who seems to know what he is doing. The airflow, temperature drops and static pressures seem acceptable, so it is probably not a duct issue. I have had this work no less then 100 times. We generally work on larger homes, but the principal is the same. I had a customer who every year had to re-paint his ceiling do to duct condensation. This went on for 8 years, until he called us. There were definite duct issues, poor equipment selection, and continuous soffit venting and radiant barrier. He is a smart man, invented a few well-known mechanical items. He understood what I was telling him. He agreed to let us remove the radiant barrier, replace the a/c systems and ductwork. He would have his property manager seal off the attic. We completed the work we were contracted to do, Duct, a/c, and remove radiant barrier. After we left, the all-knowing architect told the property manager we were full of BS and the attic had to "Breathe". The architect designed this house. The condensation stopped for a full summer. The next summer, there was a tropical depression early in the summer. Condensation immediately formed and stained his ceiling. I get a call from the property manager saying "our repair did not work" and the architect has an "expert" coming. I met with the "expert" who was another a/c company. The architect insisted we do what his "expert" said to do for free. 1. We would agree to a value of the work requested. 2. If the duct stained the ceiling again, the architect and "expert" would pay me the valued amount of the work they insisted be done. They would not do this, so I contacted the owner directly. I offered the owner in writing that if he did a test, and sealed all roof, gable end, and off peak ridge vents, (there was no peaked ridge venting)and the ceiling stained, I would do whatever is needed to the ductwork. The owner agreed. The condensation stopped immediately overnight. we went through 4-6 more tropical depressions that year. no ceiling marking/staining at all. two years later, the owner decided to spray foam the attic. That was over 8 years ago, and still no problems. I am not guessing. I have seen this many, many times. Everyone who listens, the problem goes away. Duct air leakage into an attic places the inside of the home under a negative pressure forcing moisture and moisture-laden air to be pulled into the home. Duct leakage must be kept to a minimum. Where possible, ductwork should be run within the conditioned envelope. In humid climates, where ducts conveying cold air (air at temperatures lower than the dew point) touch each other, touch insulation or other elements of the attic, condensation occurs. A very delicate balance is found in attics in humid climates. Surface temperatures of cold air conveying ducts often border on being at the dew point of the surrounding attic air. Duct insulation R-values are specified based on a temperature difference between the cold air conveyed through the duct and the expected attic air temperature. When the attic temperature is reduced, the temperature of the outside surface of the duct is reduced. If the R-value is appropriate for a large temperature difference, then less heat will be transferred into the duct material as that temperature difference is reduced by reducing the attic temperature. This means the temperature of the duct material will continue to drop and will go below the dew point. Experience has shown us that raising the attic temperature is far more effective in stopping duct condensation than adding insulation to the ductwork. Over-ventilated attics, with radiant barriers and attics whose roof surfaces are heavy clay or white ceramic tile are subject to condensation of ducts, equipment, and piping. This is particularly true in attics with high-pitched roofs where the heat can't pocket around the materials. 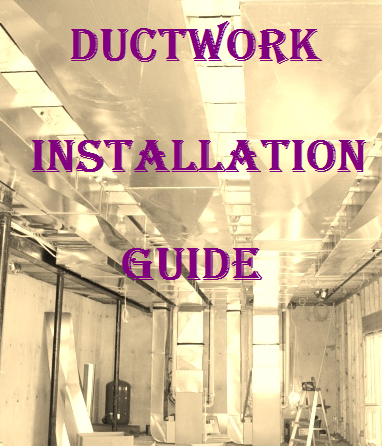 Keep all ductwork separated from other ductwork, attic insulation and building construction materials. Keep conditions in the attic such that the dew point of the attic air is higher than the skin temperature of the ductwork at all times. While your house is not large, the roofline seen steep from the pics you have posted, and there seems to be several different roof angle directions. These all are factors with this problem. This is a large problem in our area, and I make a lot of money telling people what I have just told you for free. All we can do is give you info. After what you have been through, a little painters tape and plastic as a test is not asking a whole lot. I have followed this thread for a long time. Most people do not listen until, like you, they spend thousands of dollars and still have the same problem, or worse. Trust me, the Amana Rep will be useless. He will tell you there is nothing wrong with the equipment...and there is not. If it were leaking water from the inside, he may be able to help. Back to the glass of ice water analogy. It really is that simple. Often sweating on the air handler is caused by high air velocity through the evaporator coil. It pulls the condensate out of the pan. In addition, soaks the air handler, and causes the bottom to sweat. This has proven not to be the case here. The unit more on the bottom is because if you measure the temperature between the emergency pan and the unit, it is colder than it is on the top and sides of the unit. This lowers the surface temperature of the bottom of the unit, increasing condensation. The drain pan is NEW, it was replaced a couple weeks ago when the coil was replaced, the old pan was taken out and did not have cracks in it either but they replaced it just to make sure. A leaking out of the pan or B being pulled off the coil at to high a velocity soaking the inside of the unit. So starting with dry insulation inside the air handler, it was damp after a couple of hours of operation. That is from water LEAKING into the insulation, not the unit sweating. If the problem was only that the outside of the unit was getting below the dew point of the air in the attic, the air handler would sweat on the OUTSIDE while the insulation inside the air handler remained dry. What you have is water getting into the insulation on the bottom of the air handler, which then causes the bottom of the air handler to sweat on the outside. The condensation on the outside of the air handler is a symptom, not the problem. Going to wait for the house to cool down before I re-shoot another video, will give me time to take a shower and boy do I need one. If the return, that was kinked, was causing a high static in the return and pulling water off the coil. Then the rerun of it may have stopped that. If the return is restricted elsewhere then it will still pull water off the coil. And when you go back up to film again. You can put your hand on the insulation under the unit. And check to see if it feels real cold or is sweating. If it is real cold, or sweating then you're pulling water off the coil. Good news: It is now 73 degrees in my house, and my wife is sleeping soundly for the first time this summer. Bad news: As you can see in this video, the unit is slightly damp, not sure if this is normal or doable but after signing the invoice I signed today I was definitely hoping for bone dry. Shot after unit was running for about 6-7 hours, much dryer than usual but not sure if I am out of the woods or not? Beenthere if they have to come back I am most likely going to greet them with a blunt object, if they do I will have them measure the static from both sides. Crmont they installed a piece of duct board the same size as the door and jammed it in place so it could be removed and the unit accessed/serviced. Condensation/sweat/water if this is the most it ever does I should be ok, however if it gets worse from here I am worried it will start to drip into the attic again. The outside of the unit is damp and it gets wetter the lower down on the unit and the farther left (towards supply side you get). My thought is that either insulation is being compromised inside, or the air is colder the farther down the line it gets. 2 pics below. Above picture of some of the more aggressive condensation/sweating at the supply end where the cold air exits the air handler. So, if it stops where it is I guess it is "OK" if it progresses I am going to have to hope that somehow NE FL never gets above 80 again.